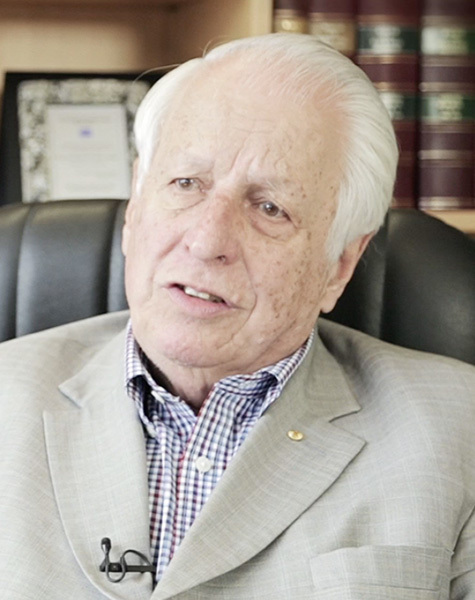 Born in Austria in 1931, Sir Gus Nossal came to Australia with his family in 1939. He studied Medicine at The University of Sydney and, after two years residency at the Royal Prince Alfred Hospital, he moved to Melbourne to work as a Research Fellow at the Walter and Eliza Hall Institute. His research accomplishments are world-renowned and he was knighted in 1977. He was later made a Companion of the Order of Australia in 1989.